Sweden once the bastion of the Vikings is giving the world a demonstration in how a nation and a people commit suicide. 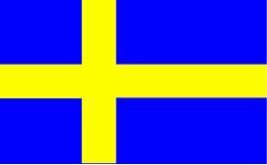 Sweden is presently in a state of gross denial of its history, culture, and indeed future. Let the world take note! Sweden as it has been known throughout history and up until recently is a nation and society now bent of self-destruction and thus far the Swedes are doing a fine job at that! Very soon now Sweden will cease being the Kingdom of Sweden and become the first Islamic State of Sweden. If I were King Carl Gustav I would be boarding my plane now and leaving Sweden via self-exile instead of waiting for the soon to be governing Islamic mullahs to oust me! The bishop, Fredrik Modeus, of Vaxjo fully supports the words of the Imam saying, “It is natural in a multicultural (read suicidal) and multi-religious society that different traditions and religions be heard, are visible and are interacting for a good society (he means dead society via national suicide! ).” He then stated that he supports the application and compared the loud Muslim call to prayer 5 times per day as no different to ringing church bells! WTF? Growing Backlash Over Immigration in Europe! Berlusconi’s comments come after a Nigerian “refugee” murdered and dismembered 18 year old Pamela Mastropietro in Italy recently. That so called “refugee” is named Innocent Oseghal who is a known migrant DRUG DEALER! Like his first name? Innocent? Hardly! Berlusconi is not alone in his ambitions as his rival Matteo Salvini is promising to deport 600,000 “refugees” if he wins the election. Berlusconi says that only about 30,000 of these “refugees” have a right to asylum because they fled war and death in their homelands and the others are a ticking time bomb ready to explode inside Italy at any given moment “because they are living off of crime.” Most are drug dealers according to Berlusconi. Several articles are appearing this morning in relation to Muslim radicals that are worthy of note. Knife Wielding Jihadis Critically Injure Guards in France!! Knife wielding Jihadis in a French prison have critically injured guards at the Borgo Prison. This happened this past Friday after a group of 3 inmates including a radical Muslim Jihadi attacked the guards with knives while shouting their mantra “Allahu Akbar!”. One guard is severely wounded and in critical condition. Surprised? You shouldn’t be. Europe just doesn’t get it do they? Oh wait….Austria, Hungary, and Poland get it and that’s why their bucking Merkel and the EU and refusing to take in more Muslim “refugees” (soldiers). These 3 nations know that this is the MUSLIM CONQUEST OF EUROPE unlike Germany’s Merkel and the EU. These so called “refugees” are not entering Europe seeking better lives. They are part of a JIHAD (Islamic Holy War) with the goal being the conquest of Europe and the transformation of Europe into a Muslim state! The city of Cottbus in Brandenburg has forced a 15 year old Jihadi and his father to get the hell out of town and never return! That was after he pulled a knife on a local couple last week. The 15 year old is reportedly a “repeat offender.” Sooo why isn’t he in a German prison??? Give these radicals and inch and they ARE taking a mile! Get a clue GERMANY!! Family Kills Own Son in Gaza!! A Muslim family in Gaza has MURDERED THEIR OWN SON after they say he helped Israel. This happened in Rafah. The Palestinian family killed their son this past Friday after the Hamas leader in Gaza said he helped Israel kill 3 of the TERROR groups commanders. The family said in a statement that a “relative” shot their son Ahmed Barhoum dead! However, they failed to identify just which family member carried out the VILE AND EVIL DEED. The family said they believed that their son was guilty as alleged. WTF? And this is the so called “religion of peace”??? More like the RELIGION OF HUMAN SLAUGHTER!! Austria Takes Steps to Curb Refugee Entries!!! 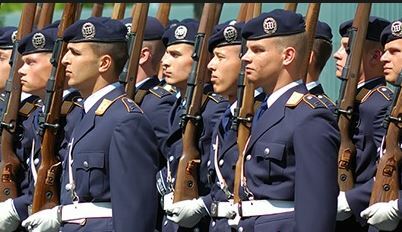 Austria’s Interior Minister Herbert Kickl announced the creation of a new border protection force which will “ensure orderly border management.” Many of the Muslim “refugees” entering Austria are on their way to Merkel’s now MUSLIM GERMANY and are simply now passing through Austria to get there. Kickl said the new force will secure the border and perform identity checks on the “refugees.” Kickl also slammed the baby boomer progressive generation saying their plans to transform Austria have failed and that there is now a growing counter-movement afoot and not only in Austria but elsewhere. He says this counter-movement is a “Return to Normalcy.” Ya think???? It’s about time Europe gets a clue! Kickl’s boss, Chancellor Kurz, fully supports the move. Last week he confronted Germany’s Merkel and told her Europe’s borders MUST be SECURED. Merkel did not look happy as the young and handsome Kurz bluntly spoke to her during a press conference. Well….that’s just too damned bad isn’t it? Hey Germany! 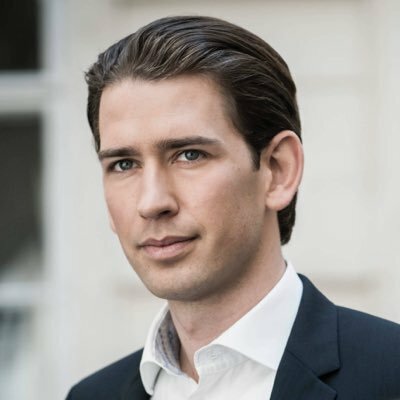 How about you throw Merkel out and get a young handsome Chancellor like Kurz yourselves???? Sorry but Merkel looks more and more like a Sea Hag with each passing day! Austria Prepares Crackdown on Refugees!! Austria’s Interior Minister Herbert Kickl is vowing to enforce some “very, very strict asylum policies” after a new government study revealed that foreign immigrants are responsible for 40% of all crimes committed in 2016 and that the number of foreign criminal suspects has risen 13% over the past year. In other words, Austria has had enough of the invasion of Europe and is joining forces with other European nations to do something about it unlike what we are seeing in the UK, Germany, and Sweden et al.